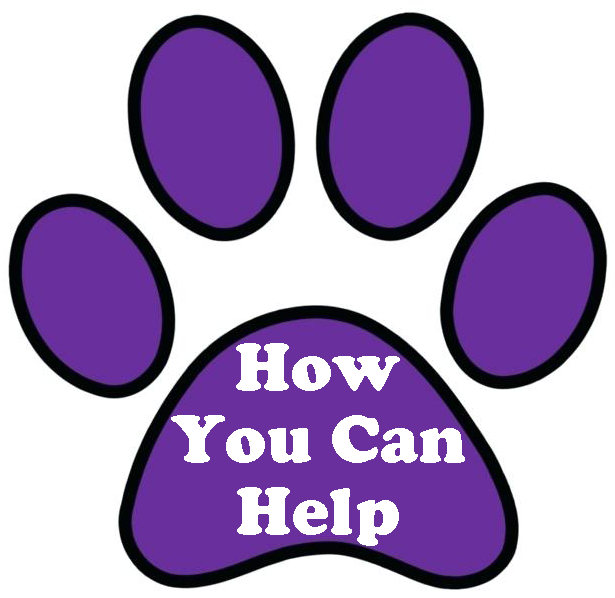 Frequently Asked Questions - Paws 4 A Cure is an all-volunteer 501(c)(3) nonprofit organization that provides financial assistance throughout the United States to those who cannot afford veterinary care for their beloved furry family members. Paws 4 A Cure helps dogs and cats with all illnesses and injuries. Paws 4 A Cure does not discriminate against breed, age, or diagnosis. Paws 4 A Cure is an all-volunteer 501(c)(3) nonprofit organization that provides financial assistance throughout the United States to those who cannot afford veterinary care for their beloved furry family members. Paws 4 A Cure helps dogs and cats with all illnesses and injuries. Paws 4 A Cure does not discriminate against breed, age, or diagnosis. After reading the Frequently Asked Questions and you are in need of assistance with your upcoming veterinary needs, please visit our Ask For Help page to read our guidelines, policies and procedures, if you meet the qualifications then apply for assistance. Q: Why is there not a phone number on the Paws 4 A Cure website? How do I contact you? A: Paws 4 A Cure is an all-volunteer organization, so there are no set hours. Please contact Paws 4 A Cure via the Contact Us page for all of your non financial assistance related questions. Do NOT use the Contact Us page for financial assistance help for your dog or cat, you MUST go to our Ask For Help page. 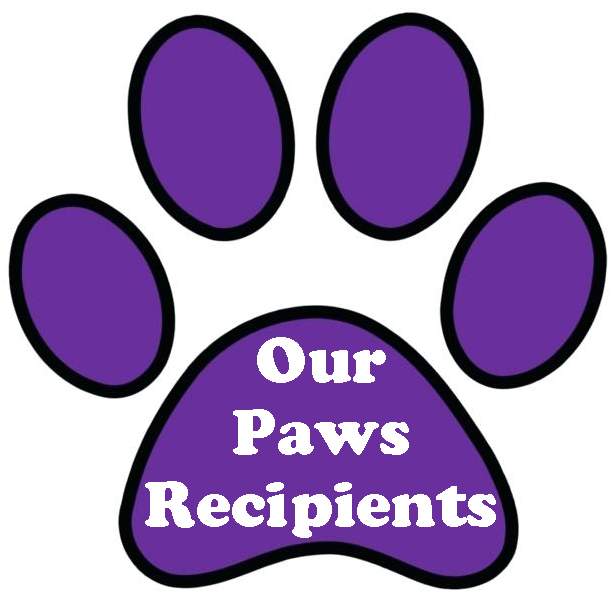 Q: Where do Paws 4 A Cure's funds come from to pay for the grants? A: Our President & Founder creates online fundraising pages, create posts on social media to generate funds, set up a booth at events and sits outside stores selling Paws 4 A Cure merchandise to raise funds. Keri volunteers all of her time before and after her full-time job during the week amd on the weekends to Paws 4 A Cure to help those in need. She has not paid herself a penny since she created Paws 4 A Cure. Q: How do I apply for assistance? A: Please visit our Ask For Help page to apply for financial assistance. Q: Do you help animals in my state? A: Paws 4 A Cure helps dogs and cats throughout the United States (including Puerto Rico & Guam). Q: Why do you only help dogs and cats? 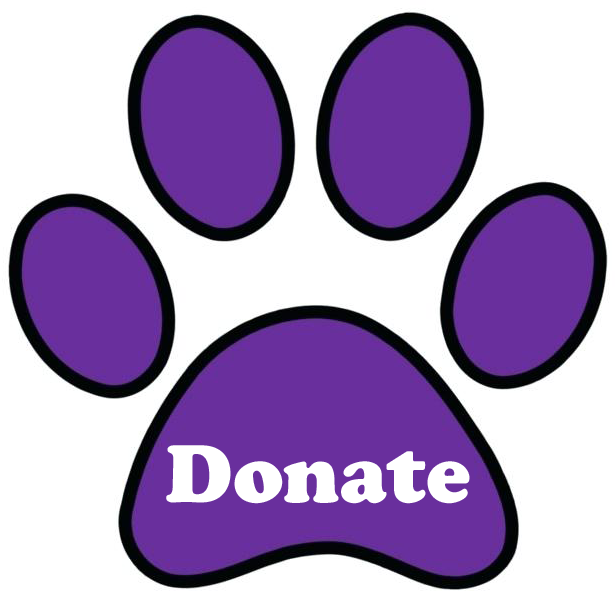 A: Paws 4 A Cure is a small 501(c)(3) nonprofit charitable organization. Although we wish that we could, we're just not able to help all animals. Q: Will you help my 10 year old Pit bull? A: Paws 4 A Cure does not discriminate against breed, age, weight or diagnosis. A: Paws 4 A Cure provides financial assistance for all illnesses and injuries. Q: Do you pay for spaying/neutering or vaccinations? A: Paws 4 A Cure does not pay for routine care. Please visit our Helpful Resources page for additional financial assistance organizations. Q: What is routine care? A: Routine veterinary care is classified as spaying/neutering, vaccinations, parasite control, and routine dental care. Q: What is routine dental care? A: Routine dental care includes dental cleaning with anesthesia, and may include extractions, as needed for the treatment of tartar, plaque & gingivitis. Non-routine dental care refers to the treatment of atypical dental conditions, such as fractured teeth, abscesses and oral masses. Q: Do you pay for euthanasia and cremation? A: No, Paws 4 A Cure pays for treatment only. Q: Why do you need a diagnosis before I can apply for assistance? A: Your dog or cat must be in the care of a veterinarian for the illness or injury. The veterinarian must have a treatment plan in place before you apply for assistance. A: Diagnostics are tests, x-rays, bloodwork, MRI, CT scan, etc. to diagnose an illness or injury. Q: Do you pay for medication? A: Yes, for prescription medication for illnesses or injuries. Excludes flea, tick and monthly heartworm medication. We do not pay for food. Q: Will you pay for a wheelchair for my dog? A: Yes, Paws 4 A Cure will assist with the cost of a wheelchair and other medical equipment. Q: How long does the application process take? A: Once the online application and all of the required documentation are received by the applicant and treating veterinarian, the case file is reviewed. You will receive a response within 24 hours. Q: Do you only help low income families? A: No, Paws 4 A Cure helps those that can prove true hardship. Q: Why do you need information on all people living in my home? A: Paws 4 A Cure needs proof of hardship for all adult members of the family to establish financial need. A: You can rest assured that your personal and financial information is safe as all submitted documentation is secured and is accessed only by Paws 4 A Cure staff involved in the application process. All documents are shredded when no longer required. Q: Do you share my information? A: No, Paws 4 A Cure does not share any personal information provided. Q: If I have received assistance in the past, can I apply for assistance again? A: Each application is reviewed on a case by case basis. Q: Why won't you reimburse me for veterinary bills that I have already paid or pay my outstanding veterinary bill? A: Paws 4 A Cure cannot pay for charges incurred prior to the acceptance of an application. And, Paws 4 A Cure will not remit payment to individuals; we will only pay directly to a veterinary office. Q: Will you accept email requests for financial assistance? A: No. Please visit our Ask For Help page to apply for financial assistance. Q: I applied for assistance. Why haven't I heard back from anyone? A: We make every effort to respond back to applications within 12 hours of receipt. Please check your spam folder. If a response is not in your inbox or spam folder, please email grants@paws4acure.org. Q: Why do I need to share the fundraising page that you created for my dog/cat with the media? A: Once Paws 4 A Cure approves an application and we create the fundraising page, the approved applicant needs to share the fundraising page to help raise funds for your dog or cat’s veterinary care. Q: Why do you not help more dogs and cats? Paws 4 A Cure processes applications once all of the required documentation is received. Unfortunately, 1 out of 20 applicants complete the application process. Q: Where do the funds come from to pay for the veterinary care? A: The funds come from generous donations from the public. Paws 4 A Cure works very hard year-round to generate contributions. Q: Do you receive government grants? A: No, Paws 4 A Cure does not receive any government grants. A: Yes, your donation is tax deductible. Paws 4 A Cure is a public, nonprofit organization recognized as tax-exempt under Internal Revenue Code section 501(c)(3). Q: Does your staff get paid? A: No, Paws 4 A Cure is an all volunteer organization. All of the day-to-day functions are handled by the President & Founder that has never paid herself a penny in the 10 years that Paws 4 A Cure has existed. Events are run by volunteers as well. Q: I have a business and would like to have a benefit to help Paws 4 A Cure, how do I go about helping? A: We are so thankful for those individuals and businesses that want to help Paws 4 A Cure. Please complete the event form. Q: How can I spread the word about Paws A Cure? A: Visit the Paws A Cure Facebook, Twitter and Instagram pages to share and retweet your Facebook, Twitter and Instagram followers about Paws 4 A Cure. Q: Are there other ways that I can help? A: Yes, please visit our How You Can Help page to learn more. Copyright 2008-2019 © Paws 4 A Cure. All Rights Reserved.